Governor Rick Snyder signed bills into law on Friday, December 14 that revise the minimum wage. Under the revised law, Michigan’s minimum wage will increase from $9.25 to $12.05 per hour by 2030. The new minimum wage rules eliminate an existing mechanism designed to allow the state’s rate to rise with inflation in future years. An increase in the minimum hourly wage rate does not take effect if the unemployment rate for Michigan, as determined by the Bureau of Labor Statistics, is 8.5% or greater for the calendar year preceding the prescribed increase. If an increase does not take place in a given year, that rate will go into effect the following year, assuming the unemployment rate is less than 8.5%. The $9.45 minimum wage will go into effect on the 91st day after final adjournment of the 2018 legislative session. Once the current legislative session is officially closed the exact implementation date will be announced. We anticipate it will be late March 2019. CVR users are reminded that obsolete tabs must be returned to the CVR warehouse between now and January 25, 2019. Please include a copy of your Inventory Available Report to ensure your return is recorded properly. 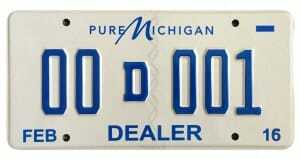 Dealers are reminded that your current dealer plates remain active through February 28, 2019. New plates will be mailed via UPS in mid-February. If you have questions please call MADA at (800) 292-1923. With the legislative change that was passed at the beginning of this year, each January 1st the cap on the trade-in value now increases by $1,000 until it reaches $14,000, at which point the cap is removed and full sales tax on the difference is implemented. In 2019, a person can receive up to a $5,000 reduction in the taxable price of a vehicle, reducing the amount of sales tax due. Please remember that the Delivery Date determines the sales tax trade-in credit amount to apply (NOT purchase date). Q. Can a trade-in sales tax credit be applied to a lease vehicle transaction? 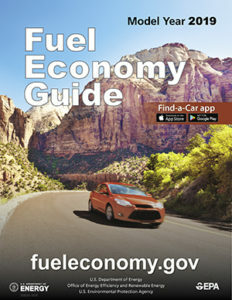 EPA regulations require automobile dealers to display the EPA/DOE Fuel Economy Guide prominently at each location where new automobiles are offered for sale and to make it available to the public at no charge. Dealers may choose to either have printed copies on hand or provide access to the electronic version/website on a computer in the display area. Most state government offices will be closed on Tuesday, Nov. 6 because of a 2004 agreement with labor unions that makes Election Day a state employee holiday. However, Secretary of State Johnson is keeping several offices open with minimal staffing. See the list here. Secretary Johnson also reminds residents that, in honor of Veterans Day, all Secretary of State offices and the Office of the Great Seal will be closed Monday, Nov. 12. 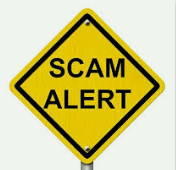 The FTC has been hearing about a new scam targeting people who are selling their cars online. They’re getting calls or texts from people who claim to be interested in buying the car – but first want to see a car history report. They ask the seller to get the report from a specific website, where the seller needs to enter some information and pay about $20 by credit card for the report. The seller then sends it to the supposed buyer but never hears back. Weird, huh? Well, it gets weirder. When the car sellers go to one of these websites, they’re automatically redirected to sites ending in ‘.vin’ – which seems like it might be related to your car’s vehicle identification number or VIN, right? Scammers hope you’ll think that, but no. In this case, .vin is a relatively new website “domain” – like .com or .org – that groups can apply to use. This domain was intended to be used for sites that relate to wine, since “vin” is the French word for wine, but others are not prevented from using it. So yes, that’s a clever take on .vin for cars, yes, but you still might want to think twice if anyone asks you to do car-related business on a site ending in .vin. So, if you are selling a car online and someone asks you to get a car history report from a specific site, ask why and think twice. You may have no way of knowing who operates the site, especially if it’s one you’ve never heard of. It might be a ruse to get your personal information, including your credit card account number. It also could be a way for companies called “lead generators” to get information, which they sell to third parties for advertising and marketing purposes. Coalition to Regulate Marihuana Like Alcohol: Proposed initiated law to authorize the personal possession and use of marihuana by individuals aged 21 years and older and control the commercial production and distribution of marihuana. Initiative petition filed on November 20, 2017. On April 26, 2018, the Board of State Canvassers determined that the petition contained a sufficient number of valid signatures. Voters Not Politicians: Proposed constitutional amendment to create a commission of citizens for redistricting purposes and authorize the Commission to adopt reapportionment plans for Congressional, State Senate and State House of Representatives districts. Initiative petition filed on December 18, 2017. On June 20, 2018, the Board of State Canvassers determined that the petition contained a sufficient number of valid signatures. 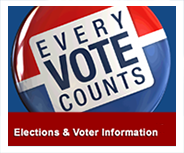 Promote the Vote: Proposed constitutional amendment to regulate authorize no-reason absentee voting, require a straight party voting option on general election ballots, provide for automatic and Election Day voter registration, require post-election audits, and other voting changes. Initiative petition filed on July 9, 2018. On September 6, 2018, the Board of State Canvassers determined that the petition contained a sufficient number of valid signatures. NADA Chairman Wes Lutz injected a dose of reality into the conversation about the future of mobility, directly challenging media narratives suggesting that ride-hailing will replace personal vehicle ownership, that self-driving vehicles will be immeasurably safer than human drivers, and that dealers are reluctant to sell electric vehicles. For the past few years the Secretary of State’s office has been working on an extensive system upgrade. 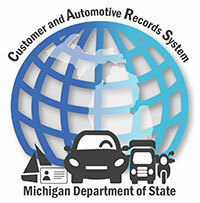 The first phase of the Customer and Automotive Records System (CARS) project launches in February 2019. As part of this upgrade, many of the business and professional licensing transactions the Secretary of State’s Office conducts with auto dealers, repair facilities and mechanics will be available online for the first time. MADA has provided the SOS with feedback on the process when requested. Currently, the state is still manipulating the program and testing final aspects of the upgraded system. They are unable to provide specific details at this time, but the desire is that most of the work will be in the background and dealers will see minimal changes. Mr. James Fackler with the department will be on-hand during the December 5th MADA Annual Meeting to provide further details about this update and what changes dealerships can expect.